Effective January 1, 2013, the Schischek group of companies were taken over in its entirety, including its main location in Langenzenn, Bavaria, Germany, and all its subsidiaries by the international ROTORK group. 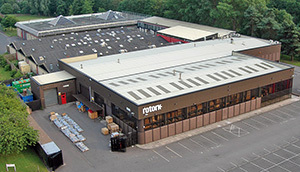 ROTORK is the worldwide leading manufacturer of actuators for valves, gear boxes and valve kits and has a worldwide operating site services division. ROTORK has been offering innovative solutions for the control of the flow of liquids, gases, and dusts since 1957. Schischek and ROTORK complement each other superbly, and both are known for manufacturing innovative products of the highest quality and reliability. As part of the ROTORK group, we will be able to significantly extend our offering in the HVAC market. Additionally, our worldwide presence in now more than 180 countries will bring us closer to our customers faster and allows us to offer more global support. We look forward to a continued successful cooperation with you – our customers, supplier and business partners. Your existing Schischek contacts are available for further information, please do not hesitate to contact us. ROTORK and Schischek – higher value for the markets by synergies!